Prep. Time: 15 - 20 min. | Cooking Time: 26-28 min. 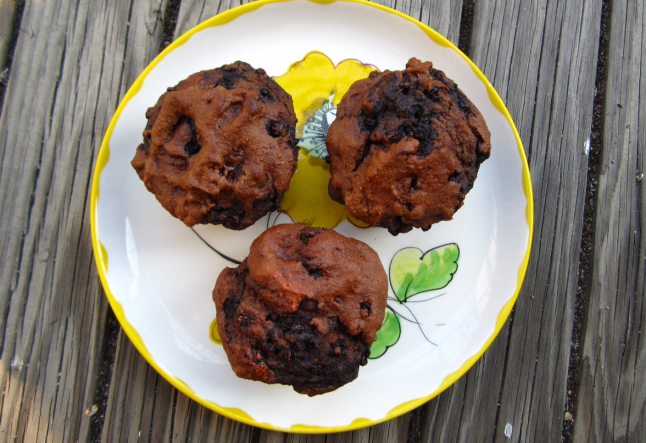 These muffins are dark, chocolatey, vegan, gluten-free and nut-free! 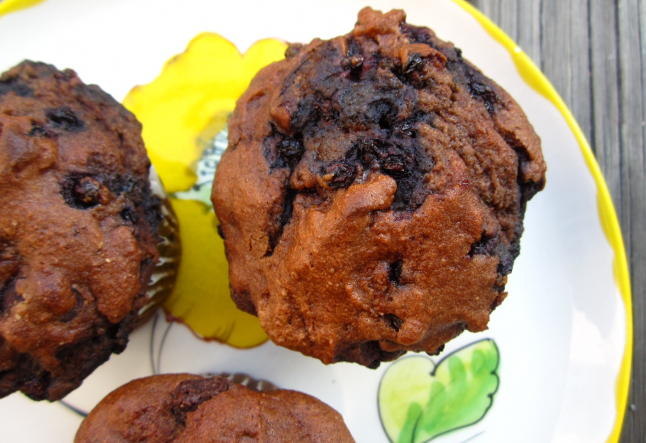 The seeds in the berries give the muffins a slight crunch and compliment the chocolate nicely. If you are able to (safely) find elderberries, the muffins will be 'black magic' muffins because the elderberry shrub is believed to have magical properties in both ancient and modern times! You can use another black berry in place of the elderberries - they'll still be tasty, they just won't be magic! Preheat the oven to 400°F. Combine flours, baking soda, salt, cocoa powder, brown sugar, cinnamon, xanthan gum in a bowl and mix until combined. Stir in the applesauce, vanilla, canola oil and milk. Add berries and chocolate. Stir well and spoon batter into muffin liners. Sprinkle a small amount of brown sugar on top of each muffin. Bake for approximately 26-28 minutes or until toothpick inserted in the muffins comes out clean. Cool for five minutes in the muffin pan, then remove. Notes & tips: If you plan to cook with elderberries, be sure that you have berries (or flowers, which are also edible) from the Common Elderberry (Sambucus nigra). The berries should not be consumed raw, but must be cooked first.